Toronto: Lester & Orpen Dennys, 1978. 217 pp Signed by author on front free endpaper. ".a heroic struggle, told within the framework of the last nine days of a valiant woman's fight for life. (pancreatic carcinoma) Immensely readable, it is a haunting memoir which will linger in the mind for a long, long time." Dustjacket has a few wee tears along edges. Looks good in new mylar cover. Not price clipped. Charcoal paper on boards binding is unmarked. Text is clean, secure and unmarked. A good copy.. Signed by Author. HC and DJ. V, Good/Good. 8 3/4 x 6. Calgary, AB, Canada: Skywind Publications, 2000, 2000. Soft Cover. Presumed First. 8 3/8 x 5 1/4. ISBN:0-9680200-0-3. 258 pp. + information on Belize. "Girls are Smarter Than Boys and other Adventures".b/w photos and illustrations throughout. Divided into five periods of time: 1991 The Pre-Formative Period; 1992 The Formative Period; 1993 The Early Classic Period; 1994 the Late Classic Period; 1995 The Post Classic period. Journal type entries from hi s years in Belize. Peach orange coloured paper binding has no noticeable wear except a bit of a warp from reading. No former owner's name. Text is clean and unmarked. No corner folds. A VEry nice copy . Overall cond: near fine.. Paperback. Used - Very Good. Vunapope, 1972. Mass Market Paperback. 7 x 4 1/4. 248 pp. Signed by author on title page. His account of ten years with the primitive tribes of New Guinea. Orange and white paper cover has a bit of finger crinkling a nd a bump to back top corner but is in good condition. No former owner's name. Text is clean and secure. Overall cond: good - v. good. Signed by Author. Paperback. Used - Good. New York, NY, U.S.A.: Bantam Books, 1997. 479 pp. The author of Rubyfruit Jungle, Venus Envy, and the Mrs. Murphy mystery series. 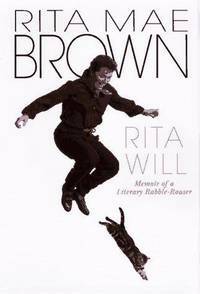 A hilarious memoir from the feisty, outspoken Rita Mae Brown. Dj has almost no signs of wear. Not price clipped, new mylar cover. Photo of author on front and rear. No former owner's name. Text is clean, tight and unmarked. A lovely copy.. First Edition. HC and DJ. Near Fine/Near Fine. 9 1/2 x 6 1/2. Camden, Maine: Down East Books, 1979, 1979. Soft Cover. Presumed First. 9 x 6. ISBN:0-89272-062-X. 160 pp. Dorothea Moulton came to Boston from Puerto Rico on a sailing trip with friends. 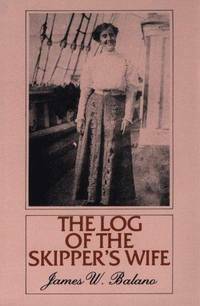 She ended up as a Skipper's wife and chronicled her adve ntures as she and her husband sailed around the world Softcover has a pull from bottom edge and a tiny pull from front side edge. Has slight edge wear to front and back. 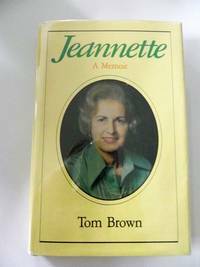 Title page has pen "Halifax, J une 1982" and owner's initials. Text is lovely and clean. Some paper "wrinkling" on page 23 and 25 that occured during production. Overall cond: good - v. good..
London: New English Library, 1976 Mass Market Paperback. 7 x 4 1/4. 128 pp. The memoirs of Barbara Walker's childhood in Shanghai where her father was Dean. We see the physical countryside, learn of the people, Chinese and British, an d experience events she remembers as a child. Softcover has a small coffee stain on front bottom corner. Cover has a little rubing to edges and corners. Book store stamp on inside front cover. No form er owner's name. Text is very clean and nice. A good copy. Overall cond: good..